Plan a different kind of birthday party this year! Step outside the box and be the talk of school with a paintball birthday party! Paint balling is a great activity if you are attempting to plan a birthday party and need an activity that everyone will enjoy participating in. Paintball involves getting together a group of people that attempt to take out each other with paint balls. The game is often played in teams which can make it even more fun as you line-up against your friends or family to see who can manage to come out victorious at the end. Air Assault Indoor Paintball in the Twin Cities is an excellent destination to create a birthday party simply because they supply distinctive paintball games for celebrations. Play at the largest indoor paintball park in Minnesota. Scheduling an event is very simple. Booking a group is as easy as choosing a date and a time. A birthday party may range from 2 to over 100 players. Paintball at our facility is safe, clean, bug free and weather free. Don’t worry about the weather and having to re-schedule your event. Air Assault Paintball makes it easier than ever! Be the video game by shooting high tech low impact paintballs with all of your friends! Birthday parties may either play private or mix in with the crowd. This allows you plenty of possibilities when it comes to picking different paintball games to play. All players will have a referee with them at all times. Referees act like hosts to provide the safest and funnest birthday party experience. Rental gear and packages are available for the best prices in Minnesota. Players or groups may also upgrade to better paintball packages. 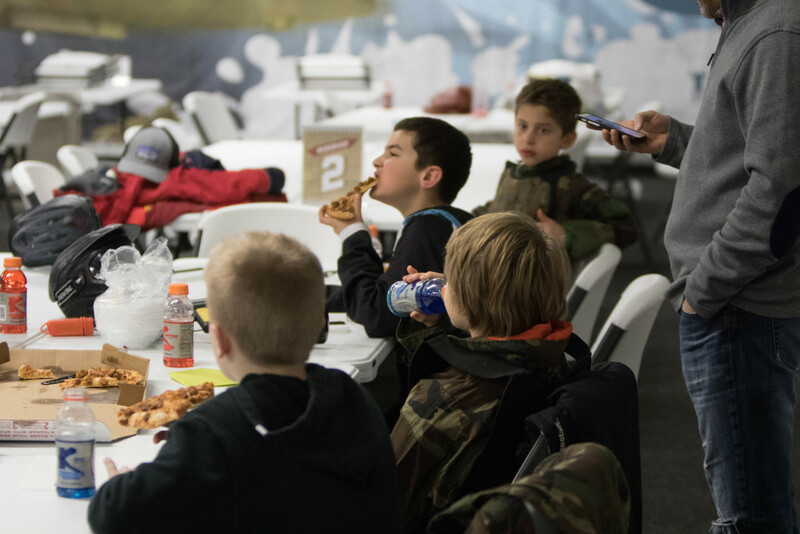 Have your birthday party at the coolest paintball center in Minnesota. Hide behind urban combat bunkers and have pizza and cake. Let us make your celebration exclusive by playing paintball for your birthday party! Private play is available to small and large groups. Groups may walk in and play or make advanced reservations. Learn about the difference between walk-on play and private play here. If you have questions call us! Locate us at 155 Eaton St. in St. Paul, MN or call us at 651-222-0300.